It's tricky to summarise the Kinetica Art Fair. If we had to have a stab, we'd call it an annual showcase of art that moves, shines, buzzes, whirls, twinkles and makes you go 'ooooh'. The organisers also resort to a list, saying that it "brings together galleries, art organisations and curatorial groups from around the world who focus on kinetic, electronic, robotic, sound, light, time-based and multi-disciplinary new media art, science and technology". Blimey. Whatever else Kinetica Art Fair is, it's certainly a fun way to spend a drizzly afternoon. As well as gawping at the wonderful creations on show, you can also dip into the bumper programme of talks, demos and performance. Art can be moving, in more ways than one. 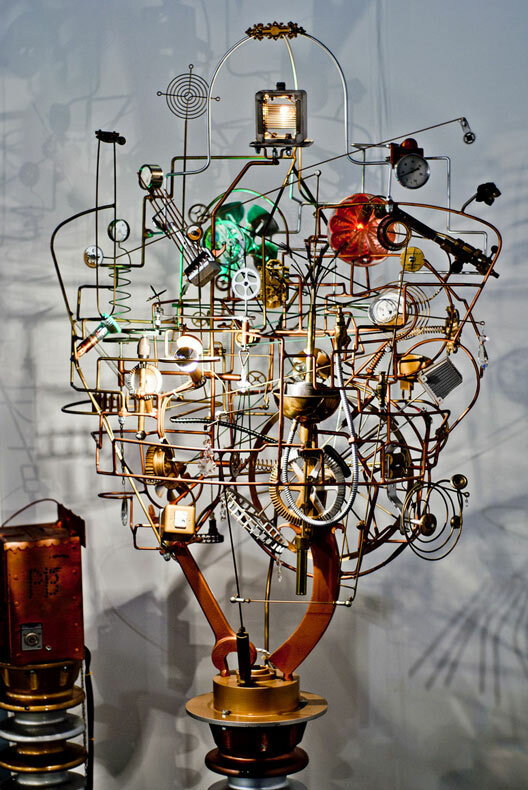 Kinetica Art Fair runs at Ambika P3, Marylebone Road, 27 February to 3 March. Tickets are £25 for the opening night, and £16 thereafter.